In a tradition dating back as far as anyone in the club can remember, 2015-16 president Pete Schroeder was unceremoniously demoted from on high back into the ranks, while Karen Romines was given the title Madame President, making her the fourth female to head this illustrious organization and its 71st president. 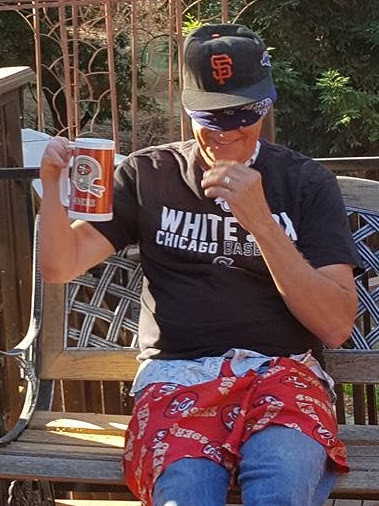 Before he felt the love of all the club members, Cubs-Bears-Bulls fan Schroeder was decked out in a White Sox T-shirt, Giants hat, and 49er boxers. Poor guy. Stay tuned for a great year in 2016-17.